One of the Lonely Ones – Recorded in 1969, this is a completely unreleased new studio album. It’s a 12-track lost Roy Orbison album never-before-heard by the public that was recently discovered by Roy’s sons. This rediscovered treasure will be released on CD, digitally and on sumptuous 180-gram vinyl. 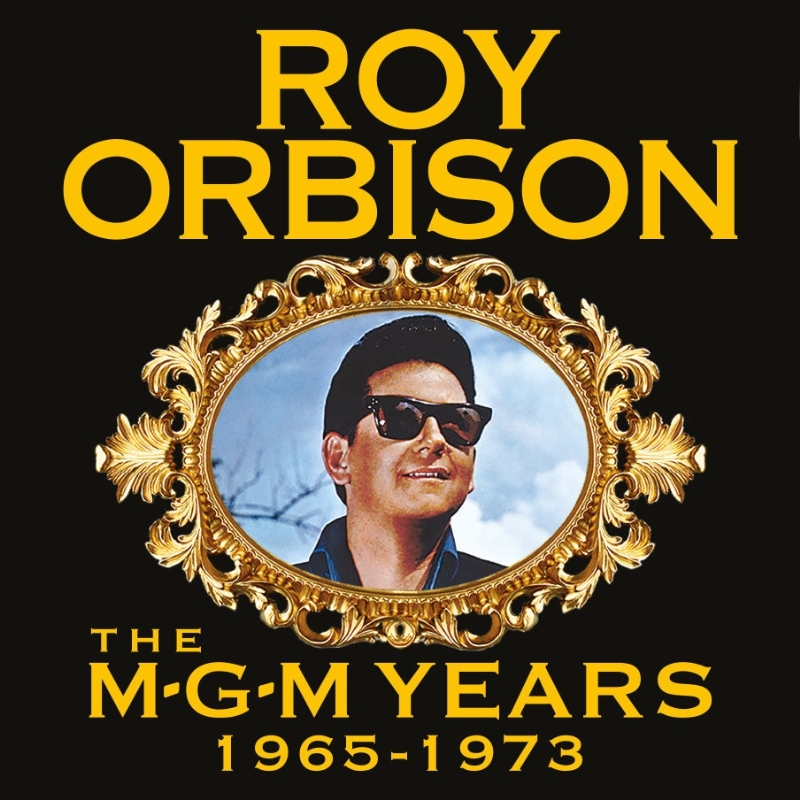 The MGM Years – Recorded from 1965 through 1973, the box set contains all of Roy’s 11 MGM studio albums, the soundtrack to The Fastest Guitar Alive (written by Roy and Bill Dees for the film starring Roy Orbison) and an album of B-sides and singles from that era. The box set is available as a 13 CD box, a digital box, or as a special 14 disc 180-gram vinyl release. All this material has been out of print for decades – 152 tracks in total! The first 500 physical The MGM Years box sets (either CD or LP) pre-ordered through The Official Roy Orbison Store will be bundled with a copy of the unreleased One of the Lonely Ones album in the same format and for the same price as the box set alone on release. All those who take advantage of this limited time offer will also be promptly emailed a download code to instantly download the One of the Lonely Ones title track. Both the unreleased One of the Lonely Ones album and The MGM Years box set are also available for pre-order globally at all major physical and digital stores including, of course, Amazon and iTunes. On July 1, 1965, Roy Orbison found himself at a career pinnacle, at the top of the music world. The previous year, his single “Oh, Pretty Woman” had been a global smash, going to Number One in the U.S., UK, Canada and Australia. On the business side, Orbison had to choose between staying with his friend and producer Fred Foster at Monument Records or moving to MGM for a deal that Foster could not match. Foster didn’t have a film company and of course MGM had a full motion picture arm and promised Roy a starring film role. In the end that proved to be the deciding factor and Roy chose MGM and its so-called “Million Dollar Deal” – an astounding amount for the time. At the time, Roy was one of the only American artists to displace “British Invasion” bands including The Beatles at the top of the charts. Fresh MGM deal in hand, Roy went into the studio in July 1965 without missing a beat. “Ride Away” was the first single for his new label MGM, which promptly went Number One in Canada. His first MGM album, There is Only One Roy Orbison, which included the single “Ride Away,” went Top 10 in the UK and charted strongly worldwide. This was just the beginning. Roy would record and release an additional ten studio albums at MGM plus a soundtrack album for the only film in which Roy starred. This was Roy at the height of his career, yet the Roy that most fans know the least. The MGM Years box set finally puts all of these fabulous records in one place. These include the 11 original studio albums, the much sought after soundtrack to The Fastest Guitar Alive and a newly created compilation album called MGM B-Sides & Singles that contains all 12 MGM era singles and B-sides that otherwise weren’t included in any album; in all, 152 glorious Roy Orbison tracks. Each song was additionally re-EQ’d and balanced by Roy’s son Alex and GRAMMY®-winning engineer Chuck Turner to bring the masters back to their original warm vinyl sound. All this amazing material has been generally out of circulation for decades! Each original album comes with fully restored artwork and each album has been fastidiously remastered by GRAMMY®-winning engineer Richard Dodd. The box set includes a beautifully bound booklet with extensive liner notes written by Alex Orbison, Roy’s youngest son, and never before seen photos. Recorded between January and August of 1969, One of the Lonely Ones is a great, newly discovered, Roy Orbison studio album. Kicking it off is a sensational version of “You’ll Never Walk Alone,” the Rodgers and Hammerstein classic that charted for Britain’s Gerry & the Pacemakers in 1965. The Roy penned, guitar-heavy, “Child Woman, Woman Child” can be considered the musical younger sister of “Oh, Pretty Woman.” And ten other NEVER BEFORE HEARD Roy tracks – what more can one say? A lost treasure found! One of the Lonely Ones was transferred from the original tape at the famed Blackbird Studio in Nashville, TN and the tracks were individually mixed by Chuck Turner (whose credits include Johnny Cash, Dolly Parton, Alison Krauss and Marty Stuart) at the Cash Cabin under Alex Orbison’s supervision. Finally, the restored-to-stereo tracks were put in the capable hands of Richard Dodd for mastering.